Three years on from the signing of the Paris Agreement, the parties to the UN Framework Convention on Climate Change will meet in Katowice, Poland, from 3 to 14 December 2018. Mission Innovation (MI) members and partners are organising a wide range of events on clean energy innovation, which this newsletter showcases. Members are warmly welcome to attend with their contacts and there is no need to register for these activities. Follow MI on Twitter and the #COP24 hashtags to find out about activities as they happen! At the session Mission Innovation initiative: made in Austria, Theresia Vogel, CEO Austrian Climate and Energy Fund, and Gudrun Maas, Head of IEA Energy End-Use Working Party, will highlight how, together with complementary projects, the three Flagship Regions will boost the energy supply for Austrian industries with renewables. Austria’s pavilion organised by ADVANTAGE AUSTRIA, will showcase companies and technologies and for climate protection, energy and the environment. In cooperation with the ICC, IEA, SEforALL, the Climate Group and WBCSD, IRENA will steer the organisation of this year’s Energy Day, which will take stock of the global energy transition and reflect on priorities for action. As part of the UNFCCC Marrakech Partnership for Global Climate Action (GCA) and in the spirit of Talanoa to leave no one behind, the event will bring together policy makers, corporations, innovators and other energy stakeholders for a frank exchange on how to accelerate progress in the sector to meet development and climate objectives under SDG7 and Paris Agreement. The Energy Day will feature diverse geographical, economic and social context to provide insight into the long-term planning and innovation in the energy transformation. With COP24 being hailed by the UNFCCC as ‘Paris 2.0’, the Sustainable Innovation Forum presents a crucial opportunity to drive forward the Paris Agreement framework by bringing together 600+ delegates engaged with fast tracking the global green economy. Mission Innovation is this year Platinum sponsor of the forum, which is the premier meeting place for policy-makers and climate technology innovators to collaborate and exchange knowledge. The Avoided Emissions Framework, an MI initiative launched at MI-3 and led by Sweden, will be presented on Sunday at 13:45-14:00 and on Monday at 10:30-10:45 during the Climate Finance sessions. The EC Deputy Director General and EU representative for MI Patrick Child will speak on the panel Whole Systems Thinking for Low Carbon Energy Transition on 10 December at 14:15. The Nordic Council of Ministers will host a side event on Innovation Competitions and Circular Economy for Transformative 1.5 ⁰C Solutions at COP24 in Katowice. This event, organised by the Swedish Environmental Protection Agency, will present a two-team innovation competition within the infrastructure sector and its results with 15 ways forward and new circular business models. Patrick Child, as representative of Mission Innovation, will present the role of the public sector in spurring clean energy innovation to meet the 1.5 C target at 18:00. On December 10, 2018, at the COP24, the Biofuture Platform countries and partners will renew their commitment to scaling up the sustainable low carbon bioeconomy and write the next chapter for the initiative. 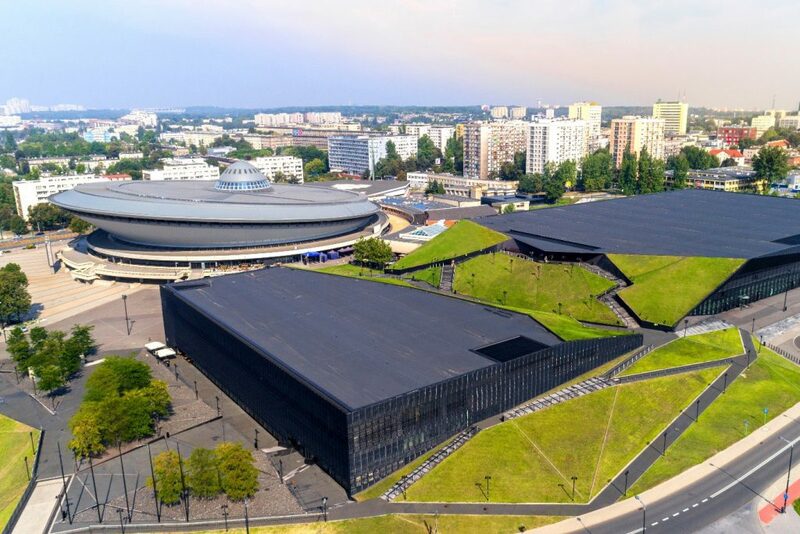 This high-level event, to be held in the Polish Pavillion, will be co-hosted by the UNFCCC COP24 President, Michał Kurtyka, the IEA Executive-Director, Fatih Birol; and the Minister of Environment of Brazil, Mr. Edson Duarte. This year’s event will include: i) the launch of the “Creating the Biofuture” report, done in collaboration with Mission Innovation’s Sustainable Biofuels Innovation Challenge (IC4); ii) highlights of major new national initiatives and policies by Biofuture member countries to scale up the bioeconomy, and iii) the announcement and formalization of the way forward of the initiative agreed by member countries, including a new governance framework, and the stepping up of the IEA’s engagement with the initiative. Organised by World Climate in collaboration with IRENA, UNDP and the World Bank Group the Forum will provide input to the Global Climate Summit, hosted by the UN Secretary General in September 2019, which aims to spur adoption in 2020 of ambitious Nationally Determined Contributions (NDCs) in line with the targets of the Paris Agreement. Patrick Child, as senior EC representative of Mission Innovation, will participate in the 14:30-15:30 segment “Public-Private Partnership for a low-carbon economy: how to increase the success rate?” Other speakers in the panel include Michèle Sabban, Government of France; Andrzej Kielar, Managing Director Rockwool and Anton Koller, President District Energy Division, Danfoss. Embedded in the “World Climate Summit (WCS)”, IRENA will co-host a half-day event dedicated to socio-economic benefits of the energy transformation and innovation. The Renewable Energy Day will centre stage socioeconomic benefits of renewables for communities and regions thereby contributing to a fair and just distribution of welfare cost and benefits. It will also showcase how innovation is creating opportunities for an accelerated transition towards a renewable-powered, low-carbon global energy system that can deliver on the Paris Agreement climate goals. WCS and Energy Day will assemble a wide range of participants including policy-makers, investors, technology providers, researchers and business representatives. The UK will host a clean energy innovation-themed series of side events on the afternoon of 12 December at the UK pavilion. Building on the Global CCUS Summit on 28-29 November, which the UK co-hosted with the International Energy Agency (IEA), this event brings together leading figures in clean energy to identify and debate the key challenges and potential solutions to accelerate CCUS innovation, policy, finance and deployment. Participants include senior leaders from governments, international organisations such as the IEA, World Bank and the Asian Development Bank and innovative UK companies that are commercialising CCUS such as Carbon Clean Solutions and Pale Blue Dot. The Global CCS Institute will present its Global CCUS Status Update 2018 report. Ensuring cooling is low carbon, affordable and accessible to all who need it is essential to achieving our global sustainable development goals (SDGs). Without ambitious intervention, research shows that the energy demand from cooling could increase six-fold by 2050. The event will bring together leading organisations and countries in the low carbon cooling debate to discuss how to scale-up innovation, finance and deployment of low carbon cooling technologies. Participants include senior leaders from governments and organisations working on accelerating cooling technologies including the World Bank, SE4All, the Rocky Mountain Institute, SureChill and the University of Birmingham. Following the launch of the IPCC report, this panel discussion will explore the role of international clean energy innovation in pursuing efforts towards 1.5 °C. The event will focus on progress through Mission Innovation, creative new business models and technologies that could disrupt carbon-intensive energy sectors in the UK and internationally. Chaired by the Special Adviser to the Mission Innovation Secretariat, Dr Julia Knights, there will be a keynote from the Vice-Chair of the Mission Innovation Steering Committee, Prof John Loughhead and debate with our panellists including, EC Deputy Director General Patrick Child, Climate KIC CEO Dr Kirsten Dunlop, LO3 CEO & Co-Founder Lawrence Orsini III and Head of Sustainability and Policy at Drax Group Dr Rebecca Heaton. The Research, Science and Innovation towards 2050 side event will focus on the recommendations of the High Level Panel on Decarbonisation and its findings. The final report has recently been released, together with the EU long-term strategy Communication. It will discuss how research and innovation are key enabler to a successful transition to a decarbonised economy by the middle of this century, as required by the Paris Agreement and the IPCC 1.5°C Special Report. Participants include representatives of the expert group, composed of members from academia, industry and public administration, such as the HLP Chair Prof Hans Joachim Schellnhuber and HLP member Beata Jaczewska and the EC Deputy Director General Patrick Child. The session is part of a series of events on long-term strategy taking place at the EU Pavilion. Among the 8 challenges identified by Mission Innovation, France and India are co-leading the Innovation Challenge on “off-grid access to electricity”. This event will be the occasion for the different stakeholders (NGOs, private companies, financing actors, public institutions, international organizations…) to hold discussions, present the results of the actions taken since COP23 and think together about the perspectives of deployment and scaling up of access to energy projects. Aligned with the priorities of the Polish Presidency for COP24, IRENA will organise a discussion about innovation of the energy transition with a strong focus on electric mobility. The electrification of the transport sector presents an opportunity for the broader introduction of renewables into the transport sector, becoming an increasingly competitive option for clean transport. This event will provide an opportunity for the speakers to engage with the audience on the growth potential of electric vehicles (EVs), the benefits of EVs and the challenges to overcome. As the world’s leading provider of solutions, analysis, and data for the global energy transition, the IEA will be hosting, co-hosting and attending a number of events at this year’s COP. Details can be found here.